Haring Woods was commissioned by Peterborough City Council to develop and manage Perception Peterborough, a dynamic and creative visioning project to develop innovative approaches to the challenges and opportunities facing Peterborough. Initiated by Arts Council England, East, Peterborough City Council and the primary local and regional and cultural development agencies, the Perception Peterborough process held a mirror up to the city and its people, to see through others’ eyes the assets and challenges, and to motivate individuals and agencies to recognise their place in the big picture. Over 4 days in September 2008, Haring Woods brought together a total of 50 key local representatives and international creative thinkers with over 10 different nationalities to develop innovative ideas and approaches to the challenges and opportunities facing Peterborough and its future growth. Artist studio Proboscis was commissioned to work in partnership with Haring Woods to facilitate the creative workshops. Within the overarching theme of the Environment, the process focused on three related themes: Growth and development of the built environment; Social cohesion within a climate of migration and Green infrastructure and environmental technologies. Following the workshops, Haring Woods produced a launch event in October 2008 promoting the initiative and the 5 key workshop outcomes. Haring Woods’ consultants Professor Benjamin Barber and Jan-Gustav Strandenaes were both pivotal participants, introducing international opportunities to promote Perception Peterborough as an important new model of best practice. Through Professor Barber’s profile, the project received significant national press. 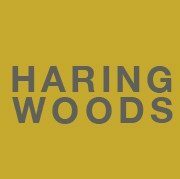 Haring Woods completed a final report documenting the complete process and advising on delivery models to implement the outcomes.